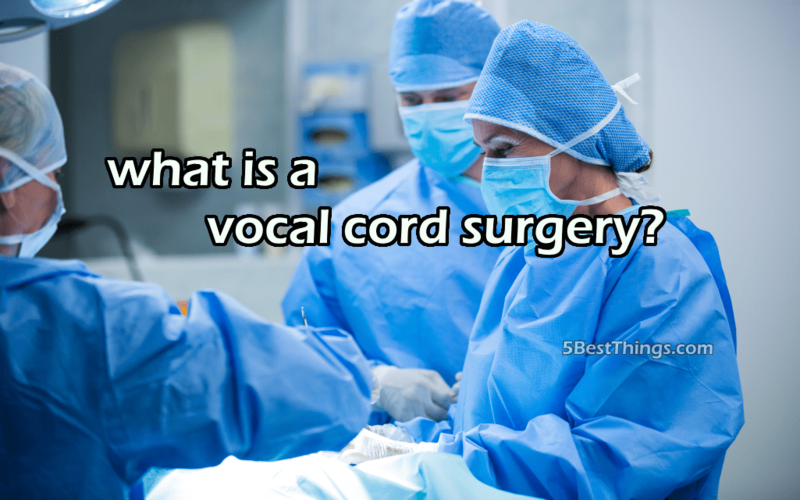 Vocal Cord Surgery, also known as Microscopic Voice Surgery or Microlaryngeal Surgery is a procedure which treats voice disorders, vocal cord problems and other issues affecting larynx. It is recommended to visit an otolaryngologist (an ENT specialist) if one has the following symptoms, a persistent cough, unexplained coughing up of blood, pain in the throat which is not due to cold or flu, lump in the neck, difficulty in swallowing, voice problems, and hoarseness lasting longer than two weeks. Before performing the surgery, a complete examination of head and neck is performed along with visualization of the vocal cords. The doctor listens to the voice of the patient understands his vocal capabilities. The condition and motion of the vocal cords are evaluated with the help of photo-documentation and stroboscopy. After a thorough examination, the doctor then discusses what difference the patient can expect post-surgery. Surgery is opted for only after all the conservative measures to treat the disorder has failed. The surgery is performed to remove a tumor, nodule, polyp or mass, inject materials to the vocal cord or cut or remove a scar tissue. The patient is given anesthesia and put to sleep while the surgeon performs the surgery using long instruments without cutting through the skin. Laser beams may also be used to cut the tissue without bleeding. The vocal cords are just 2cm long hence an enlarged view is required to perform the surgery. Microscopes are used for an enlarged view of the vocal chords so that the surgeon can work in detail. And at times telescopes are also used to see around the corners of the larynx. The patient is asked to fast for 8-10 hours pre-surgery and in a few cases voice rest for a few days before the surgery. The operation is performed under the general anesthesia by an experienced head and neck surgeon. A laryngoscope is inserted to the vocal cord of the patient through the mouth, with the help of magnifying devices attached to the laryngoscope the surgeon precisely locates the abnormal tissues, and it is cut or removed using surgical tools with incredible accuracy. Post surgery, most patients can leave on the same day. The doctor will explain all the precautions to be taken and also proper medication. Speech therapy can also aid in faster recovery. The patient has to undergo voice therapy both before and after the surgery. The patient has to maintain strict voice rest and also refrain from yelling, screaming and whispering for a particular period post-surgery as directed by the voice therapist. In India, the Vocal Cord Surgery cost ranges from Rs. 75,000 to Rs. 1,00,000 depending upon the hospital and city opted for the surgery. In today’s advanced state of technology, this surgery is a relatively safe procedure. However, infection, bleeding, damage to teeth and tongue numbness are considered to be certain known implications. India is known all over the world for its affordable surgery packages. It offers several useful packages for diagnosis and treatment of pediatrics, ENT, cancer, and other medical conditions. One can even book a surgery package online with ease from the comfort of their home. It is essential that the patient has a thorough discussion with the doctor regarding all the possible alternatives to the surgery such as speech therapy, or other surgical options before opting for the surgery.